With winter on the way there are lots of small heads that are going to be needing some coverage to keep them warm. 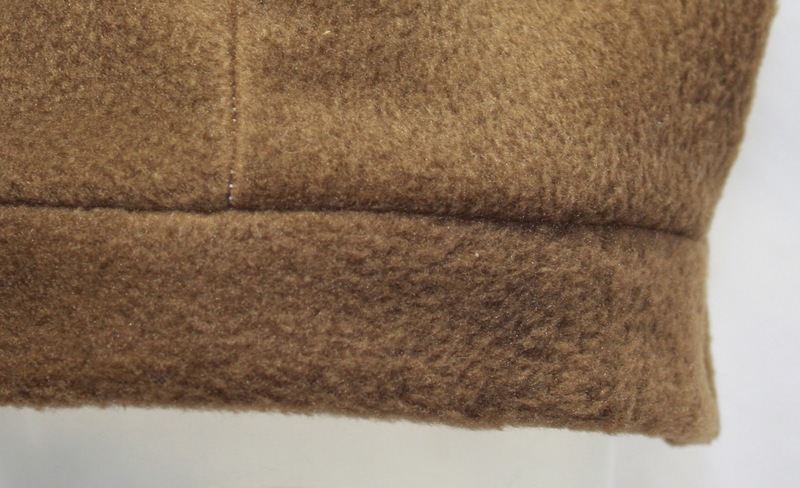 Making these fleece hats are the first attempt at a garment that I have tried to sew since I got my sewing machine almost a year ago. I am having so much fun making these hats. I was looking at one of my sons hats and thought that I liked the way it looked and it looked simple enough to make. So I took some cardstock and drew out my pattern. In order to get all my sizes it took a bit of trial and error but I eventually got it. I cut 4 panels and 2 end pieces for the brim of the hat. I would start by sewing 2 panels together and then the other 2. Then you take your first end piece and fold it in half with the good side of the fleece on the outside. Then I put all my edges together with the brim piece on the side of the hat that would be worn on the outside. With your edges lined up start sewing it. Make sure your edges remain lined up during your sewing process. When your done sewing cut off your strings and then you can see that you have a nice seams line between your panels and your brim piece. After both your halves are sewn up it is then time to sew the 2 halves together. Cut all your hanging threads and any extra bulky fabric and your finished. You have yourself a cute winter hat. These hats are available for custom orders on in my ETSY Shop. If you have any questions please feel free to contact me.